Back in the 1960’s, The Man from U.N.C.L.E was a successful American TV show with handsome leads and intricate plots – a serious spy series. This year, Guy Richie turned his hand at turning the once popular show into a big screen hit while still keeping its 60’s charm. 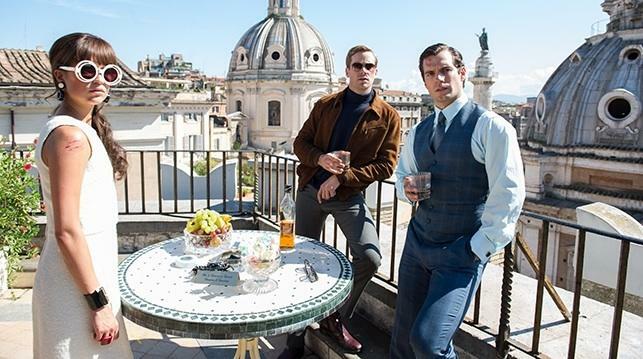 CIA agent Napoleon Solo (Henry Cavill) and KGB operative Illya Kuryakin (Armie Hammer) are forced to work together against a mysterious criminal organisation who have their hands on a nuclear bomb and the means to make more. So far this year, serious spy movies have taken a backseat (until Bond comes along with Spectre later this year). It seems that Hollywood has acknowledged that spies can have a sense of humour while also kicking the asses of the bad guys, and the Man from U.N.C.L.E does a good job at showing it. Whether it’s a fight between Illya and Napoleon which almost destroys the inside of a public toilet, or a dodgy connection which fries the bad guy while Illya and Napoleon decide what to do with him, there are plenty of comical moments which lighten the story and stop it from becoming a cheesy remake. The Man from U.N.C.L.E is really well cast. Henry Cavill, best known as Superman, puts on his best all-American accent, the type associated with 1950’s voice-over work, while Armie Hammer is convincing as a tight-lipped Russian agent. Cavill and Hammer work brilliantly together, creating a great bromance – even if they don’t like to admit it. 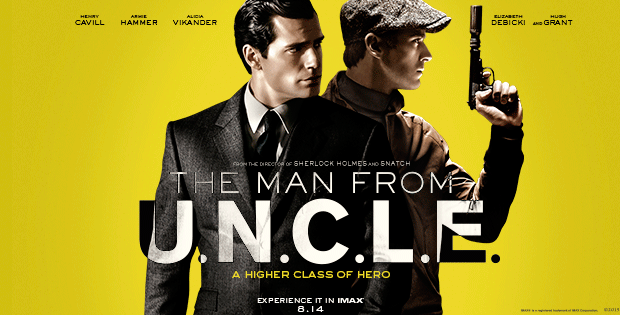 Guy Richie is best known for his gritty, dark comedies surrounding the London gangland, but when he turns his hand to family films such as Sherlock Holmes and now, the Man from U.N.C.L.E, he does a great job of it. There’s enough grittiness and realism, while also making them fun and easy watching. He even gets his signature flat cap into Illya’s costume. The surprising addition of Hugh Grant as the British forces leader is great. Considering he is best known for his leads in romantic comedies, Grant is really good as a wise-cracking secondary character. The Man from U.N.C.L.E is great fun and enjoys poking fun at itself. Had it been done in a serious manner, it would have been cheesy and no doubt, a flop. Instead, it’s highly enjoyable and is probably set to be a fun series of films.